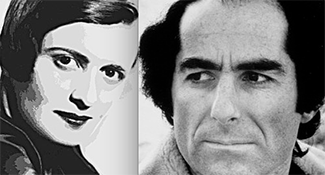 Alexander Portnoy's creator and Ayn Rand are two of the Jewish authors in our literary themed crossword. What's the classically schticky reply to "how's your New Year going so far?" Try our latest crossword to find out. 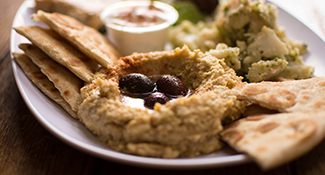 Test your knowledge of classic Israeli food—from street cuisine to fried delicacies to the land of milk and honey's favorite dips. 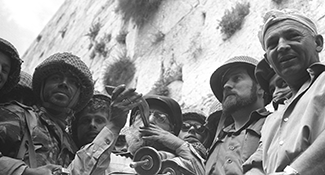 Five decades have passed since Israel's victory in 37 Across and since 35 Across triumphantly declared "the Temple Mount is in our hands." 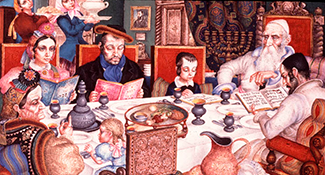 Ever wondered what the "syndrome associated with cutting vegetables on Passover" is? Then try to figure out 19 Across, and the rest of our holiday-themed crossword. Test your knowledge of historical Jewish love couples—beyond Adam and Eve!—in the latest edition of our crossword. 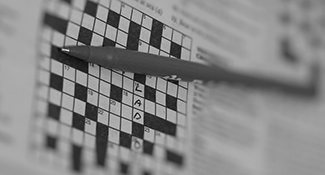 Celebrate Hanukkah this year by completing our holiday-themed crossword. Good luck! Looking for a fun mental puzzle? 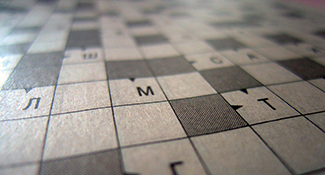 Test out our very first crossword, with clues covering headlines from biblical and modern Jewish history.